I know that Asians — and specifically Japanese, since I have first-hand experience — have a lot of trouble with English. My mom and an exchange journalist and I had a helluva hilarious conversation one time about how to a Japanese person, these words all basically sound alike (seriously): “hot,” “hat,” “hit,” “hard,” “heart,” “hold,” “hut” and a handful more. They had a terrible time pronouncing what they saw as the miniscule, subtle differences between those words. When it comes to Japanese words, however, we’re in a transitional period for language because so many Japanese things, including food, music and pop culture, have become hip and popular in the US in the past couple of decades. We’re still getting used to Japanese words and some of them are newly mangled while some (like “karaoke”) are pretty much institutionalized in their mangled form. Even though it seems like it should be easy, because Japanese is a phonetic language and you can break down words by syllables, I guess it’s not. A lot of people get Japanese words wrong, and they don’t seem to care. They say it the way they can — or are willing to say it — and the “correct” way be damned. This is America, dammit. We speak Engrish here. People think Japanese words are hard to pronounce, but most are very straightforward. I’ve grown up with people freaking out when I introduce myself and they see my last name, but when I explain that’s it’s only four syllables and it sounds a little like “Kawasaki,” which everyone seems to be familiar with and comfortable with, they settle down. Still, I answer to a silly array of mispronunciations: my favorite is “Ask-a-COW-wuh.” Moo, I answer. Some of the difficulty comes in the inability to transliterate certain phonetic sounds across cultures. The “R” and “L” stereotypes of Japanese trying to pronounce English, for instance. Or the trilled “R” sound in Spanish that doesn’t have a corollary in English. So in many cases, you can come close to converting a Japanese word into English, but it might not be 100%. I’ve even heard Japanese Americans mangle Japanese words — many have never been to Japan and didn’t grow up speaking any Japanese. The late Congressman Bob Matsui used to say his name as “MATT-sooey” instead of “Mah-tsui,” and I shook my head every time I heard it. There are also plenty of familiar words that have been mispronounced so long they seem correct: “NAI-kawn” for the camera instead of “Nee-kohn,” “HAWN-duh” instead of “Hohn-da” for the automobile. Just remember, if you say “Hawnduh” in Japan, people won’t know what the heck you’re talking about. In the end, it’s not about saying everything exactly right. Culture colors everything, so one culture won’t ever absorb things exactly from another. But if you make an effort to get it close, the other culture is bound to appreciate it. If people just tried to pronounce Japanese words correctly, I’d be happy. Thanks in advance for making the effort. UPDATE Sept. 5, 2009: I posted a mea culpa, because last night Erin and I realized that we don’t pronounce many Chinese words correctly — like lychee. And now that I think about it, there are many, many words that aren’t familiar to me, so I don’t say correctly. For instance, “Pho” is easy but “Bun Dac Biet” is hard because of added intonation. And, Banh Mi (the wonderful Vietnamese-French sandwich) is even harder for me, and I know I mangle it every time I say it. I appreciate my Vietnamese friends’ patience. NOTE: I’ve also updated this post on Jan. 7, 2012 because it’s still a very popular post and I noticed I had some sloppy typos in it. I’m also going to post audio files comparing the different pronunciations. Tagged Food & Dining, japanese language, karaoke, panko, pronunciation, sake, udon. Bookmark the permalink. My cousin asked his other grandma what Hello Kitty is. She thought he said harakiri and explained what that meant. She only spoke Japanese. lol. I have a friend who’s mom is Japanese and she can’t say futon, daikon, and udon correct. I have to tell her how to pronounce it! Some of these words, having first learned them in Korea, I pronounce the Korean way. RAM-YON and U-DONG. Thanks, Rhiannon! And thanks for taking the time to research how to say these Japanese words. I’m glad you found my post helpful. I’m Chinese, so I know exactly how to pronounce Karaoke (it sounds identical in Cantonese). I still remember how my Australian friend likes to nitpick and tell me I pronounce Japanese words wrong, but at my school, other than the Japaneses themselves, no one else speaks Japanese fluently as me. I didn’t learn it, but listened for years (from anime). Since my Australian friend is like No.1 in school with his academic scores, I doubt I could win the argument. Since he is so smart, he won’t listen to me when I tell him he is wrong. I had a friend who even tell me I speak Japanese more natural and fluently than I speak Chinese or English. To be honest, after speaking too much Japanese, it messed up my English. I can’t pronounce r, s, g, l properly like I used to. Sigh. Thanks for your comment, Silv. I didn’t know karaoke is pronounced identically in Cantonese! I CHANCED across the subject post in searching for clarification of the pronunciation of “panko”, a term I had never before seen until yesterday, when I was looking for bread crumbs. I didn’t even know what language it came from, since one brand seemed to refer to Japanese-style, but another canister said Italian flavor. Italian doesn’t use a K, but, then, neither does Japanese, since it doesn’t use the Roman alphabet, or any alphabet, for that matter. Dictionary.com shows “pahn-koh” — and, curiously, that “pan” is Japanese for “bread”, which is the same as Spanish for bread, and very close to Italian “pane”. But Oxford Dictionaries Online shows “/?paNGk?/” in its U.S. Dictionary, and “/?pa?k? ?/” in its “British and World English Dictionary”. That led me to wonder what value “a” takes in those dictionaries, so I had to put in various sample words in the two places to find that both of Oxford’s dictionaries appear to use “a” as in “at”. But both Dictionary.com and Oxford’s 2 dictionaries show the English stress to be on the first syllable, not second. So your audio advice has not been taken by English lexicographers, and I am left to decide for myself whether to say “panko” with an English short-A or “broad”-A / short-O (as in “on”), the same sound. I certainly will not affect a puristic Japanese pronunciation with stress on the second syllable. All of which is to say three things: (1) you are battering your head against a thick, brick wall in proposing that people in English-speaking countries say ridiculous, puristic things like “fton” for “futon”; (2) we plainly all, all across the English-speaking world, need a single pronunciation key that everybody knows in order to convey sounds unambiguously for native speakers of English, and for people who are trying to learn this most useful of all languages; (3) we need to stop bringing into English, words with defective and misleading spellings. If the word should be pronounced “pongko”, it should be written “pongko”. If the N- and K-sounds do not merge in an implied NG-sound, there’s a problem, since every English observer will see “panko” as having an intruded NG-sound, unless we separate the two elements by a space or hyphen: pan ko / pan-ko, pon ko / pon-ko. English becomes more chaotic every year, as more and more words from foreign languages are brought in with idiotic spellings that mislead the reader. There’s no conceivable justification for writing something from Japanese that sounds like “pon-ko” as “panko”. That is not a transliteration, because Japanese does not use letters in the alphabetic sense, but ideograms or syllabic characters. Any English rendering should be clear to native speakers of English and, thereafter, to students of English as a Second Language. As for ambiguities in English, such as whether there should or should not be an NG-sound in “panko” or whether the Y in “gyoza” or “Tokyo” should be said as a consonant only or a vowel + consonant, there is, again, no way to show this in traditional English writing except with a hyphen, in the case of Tok-yo — which I’m sure I have seen in old materials but cannot find in a Google nor Bing search right now. But g-yoza? How many people would read that right? This is a case in which it is not possible to show things unambiguously in English traditional spelling conventions, because Y has both a consonantal and a vocalic function, and it is not possible to indicate which, or both, is intended in a place like “Tokyo” or “gyoza”. The common pronunciation uses both, with a long-E sound followed by a Y-glide before addition of the O-sound. And you must just give up on getting people to say Tokyo or Kyoto in two syllables. Ain’ta gonna happen. Oh, it’s perfectly easy to say, and would actually save us a syllable. But it’s not going to happen. “Sake” in English has three spellings (http://dictionary.reference.com/browse/sake), one of which is indeed “saki”, because that is a “Continental” rendering of a pronunciation that ends in a long-E sound. Nor is your advice regarding “Hiroshima” sensible. You cling to the pretentious Japanese assertion that Japanese does not have syllabic stress: “Japanese doesn’t really have intonation, that is, emphasized syllables”. Of course it does. ALL language MUST. It is not POSSIBLE to string together syllable after syllable without stressing some and not-stressing others. We are not robots, and we find robotic speech very hard to understand. Your audio pronunciation places secondary stress on the first syllable and primary stress on the last syllable (hèe.rroe.shee.múq, where the consonant Q merely closes the syllable to show that the preceding vowel is short). What you may mean to say is that the alternation between stressed and unstressed syllables in Japanese is not as marked in loudness and duration as in English. In any case, I have heard other Japanese say that hi.róe.shi.ma is correct. We now have the same problem with “Fukushima”, which nobody heard of until the reactor disaster. The spelling Establishment in English-speaking countries has militantly resisted phoneticizing English spelling so everybody knows how to pronounce every word. And, as you can see from the examples I show of the spellings in the pronunciation keys at Dictionary.com and the two DIFFERENT Oxford Dictionaries, there is not even an agreed, universal pronunciation key for English — not even for one company, Oxford Dictionaries. How much simpler English would be if we had a single phonetic spelling system, at least in pronunciation keys. I have devised such a straightforward phonetic system, which, in its use in pronunciation keys, employs the three familiar accents from French: acute, grave, and circumflex, for primary, secondary, and tertiary stress, respectively. So we could readily guide people to proper pronunciations, as regards any pronunciation we want people to use: póng.koe (as Dictionary.com) advises, páang.koe (as the Oxford Dictionaries advise), or pon.kóe, as you advise. You understood that the improvised phonetic renderings you employed in that April 10, 2009 blogpost were not clear, so inserted audio pronunciations, for which we who read that piece are duly grateful. In the future, you might employ Augmented Fanetik (with accents for stress, as in my samples above in pronunciation keys. My simple, complete system is set out at http://fanetik.tripod.com, which shows all the sounds of English in one table. Thanks for your post about pronunciations of some Japanese words, but please accept that English is not Japanese, and we anglicize many words in ways that people from the original language would be horrified at, so your puristic audio pronunciations are advisable only for people traveling in Japan. We are NOT going to say a short-E at the end of a word. That is not going to happen, because it is “un-English”. Examples of anglicized terms from some foreign languages are déjà vu, Chavez Ravine, Volkswagen, and Hyundai. We might get people to stop saying sha.véz, since the CH in “Chavez” is the same sound as CH in English; but we would likely still end up with cha.véz, not chóv.es. We might get people to say fóelks.vog.an with an F-sound, and restore the consonantal-Y in “Hyundai”, which some idiot in the corporate advertising department took out, not recognizing that speakers of English have no problem with a consonantal Y-sound in words like “Hugh” and “huge”. But we are definitely NOT going to get people to say the un-English sound in the original French of the second word in the phrase “déjà vu”, which I have seen described as rounding the lips as tho to say “burn”, but then saying a long-E. My system assigns UU to that sound, for foreign-language instruction. Nor are you going to get people to say “fton” for “futon”, or use a tapped-R (represented in Fanetik by RR) in “origami” or “harakiri” (and your pronunciation of the latter is not clear as to stress: is it hòrr.a.kée.rree or hòrr.a.kee.rrée?). These words are English now, so properly use ONLY English sounds. There are linguistic battles worth fiting. Getting speakers of English to use a tapped-R is not one of them. Hi Craig, wow, thanks for your thoughtful — and correct — comment. I know intellectually of course that you’re right. People in the U.S. won’t be able to say Japanese words correctly. But it’s a Quixotic wish of mine that Americans will at least be a little more thoughtful and try to say foreign words a little more authentically. Your idea of a single pronunciation key is exactly what the English-speaking world needs to adapt to the multicultural future. BTW, “pan,” Japanese for bread is from the Portuguese (close to Spanish) — for three hundred years during the isolationist period of Japanese history, Portuguese traders and clergy were the only foreigners allowed. There are a lot of western words used in Japan (and mispronounced, of course), things like “pantsu” for pants, “shiatsu” for shirt. While talking to one of my friends one day, she told me that her favorite food is “ooh-DAWN.” What’s worse is that after I corrected her, she replied: “Who cares? This is America.” I agree with Craig below who said that some people can’t pronounce Japanese words correctly, but can’t they at least try? Or acknowledge that they are butchering the language? It drives me crazy when I hear people say “Hahn-duh”. I have relatives with the last names Honda and Handa. The commercials don’t really help with the whole pronunciation thing, either. “Karate” is another one people always seem to mess up. Someone bragged to me that they are a black belt in “Car-ah-tee”. The instructors who mispronounce it are even worse. I’ve noticed that Spanish-speaking people are really good at pronouncing Japanese words, probably because the vowels are similar in both languages. The only teachers I’ve had that can pronounce my last name have been my Spanish teachers. Thanks for your comments, Marissa! Yeah, the common mispronunciations are irritating, though I think some of them are already too entrenched to change. But I agree with you — even if it’s wrong, I appreciate it when people just try. This is a very interesting post. Thank you. I am trying to find out how to say ‘little bird’ in Japanese. The context is a term of endearment for a child. I have searched the internet, but can only find it translated into characters. Can anyone help? Hi Belinda, the word for “little bird” is “kotori” (KOH-TOH-RHEE) but I’m not sure I’ve heard it used to refer to a child. I’ll ask around…. Thank you for your reply. If you haven’t heard it used to refer to a child, perhaps you could advise me: it’s for a little girl who loves to play on her swing, so that she can feel like she is flying like a bird. I thought ‘little bird’ would be an appropriate name to call her, but perhaps you could advise me differently. I have no understanding of Japanese, but I do understand that direct translations sometimes make no sense. Perhaps there are better words to use…? I think Kotori wold be OK… it’s a cute image! Thank you for your help. Be happy! About the word anime. It’s not a Japanese word. It’s French really. I was very surprised. I thought it was pronounced ah-nee-ma since me sounded like ma in Japanese until I saw a newspaper article on anime and saw it’s pronounce ah-nay-may and I was like, what? c.1985, Japanese for “animation,” a term that seems to have arisen in the 1970s, apparently based on Fr. l’animé, from the same root as animate. Manga (q.v.) is Japanese for “comic book, graphic novel,” but anime largely are based on manga. I came here to hear/see how Udon is pronounced since I got really into eating it. ^^ So in some ways I was partially pronouncing it right — u-don. I need to remember now that ‘u’ is oo now, not u like in English. I know most of my Japanese letters, pronunciation-wise. Hi Donna, thanks for the information on anime’s French origins! I came upon this while looking for the right way to say Sake because I was sure I had the pronunciation right (as “Sah- keh” yet I heard every single d*** person say it as “sah-ki” ) and I’ve also taken classes in Japanese where my teacher would pronounce it as “Sah-keh” when she was teaching us how to generally say alcohol/ “osake” in Japanese, so I figured I was most likely right and that it would be the same pronunciation for Sake yet I remembered getting into a debate with my friend once who’s Chinese and had a cousin working/ living in Japan who pronounced it as “Sah-ki” which got me doubting what I knew and now I’m glad I’ve had that cleared up! Even though I’m not Japanese myself, it really does bother me when people mispronounce Japanese words and next time I run into an “Otaku” or “Weebo” I’m glad I’ll be able to kindly re-direct them to this site so that they can hopefully not be so ignorant and at least learn the proper way to say things…! Thanks for your note, and I’m glad I could help! So glad I stumbled upon this. For the most part, thanks to my on-again, off-again efforts to teach myself Japanese, I’ve learned how to correctly pronounce most of the Japanese I happen to read. But a few words and sounds still give me a bit o’ trouble – a beginning ‘f’ (as in ‘Mt. Fuji’ whose ‘hu’ sound I can never get right), the degree to which to trill an ‘r’ (especially at the beginning of a word), et cetera. And so, I wasn’t sure how to properly stress and trill ‘tempura’ or how to pronounce the vowel combinations in ‘karaoke’. Now I do! Thanks for the audio files and the commentary. Please do more words! Thank you so much for the audio examples! I was searching how to pronounce gyoza correctly and this helped me with so many more pronunciations as well! I always try to pronounce things correctly regardless of language, and I’ve been made fun of for that before by native speakers, but oh well. I’d rather try and fail than not try at all. Thanks for the nice words, Ashly — glad you found this post helpful! Thanks for the information! Your “how not to say it” pronunciations sound like you live in the southeastern US! haha they tend to draw out syllables on everything! Thanks for your comment, Jess! I hope you found these helpful. I am currently trying to learn a the Japanese song ”UMI SONO AI it is a beautiful piece of music ,I am singing the translated version, however a section of it is to be sung in Japanese which I am struggling with as I really want it to be correct. I fully understand if you cant help me I just thought that you may be able to let me have an audio file if I can supply the required words. Hi Glyn, can you send me the words as written in The English alphabet? If I have that I should be able to send you an audio file with the pronunciation…. Send me the text to gilasakawa (at) gmail (dot) com…. Heh, I’m guilty of pronouncing borrowed Japanese words using an Anglicized pronunciation, but mostly because if I pronounce the word the correct way, no one in Canada would know what I was saying. And yes, enough people mangle my name, even friends, that I usually give up bothering to correct them. Although at heart I’m a prescriptivist, I fully admit that descriptivism is much more applicable (not to mention practical), particularly in this day and age when, despite a standardized dictionary which even clearly states how to spell and pronounce words correctly, people as a whole will gradually alter both pronunciation and word usage, often to such an extent that a word can literally mean the opposite of what it originally meant (eg. literally 😉 ), while clearly not caring too much about how it is spelled. I guess in that sense, because human language started as strictly an oral/aural form of communication rather than a written one, is understandable, and yet no less frustrating for someone who is as pedantic as I am. But as a fellow Japanese transplanted into North America from a young age, it’s definitely different from the typical Japanese Canadian/Japanese American experience because one is literally stuck between two worlds, and trying to forge a third one as a compromise between the two. My parents are still very much Japanese despite having lived in Canada for a long time and holding citizenship in Canada, so they are (particularly my mother) still very much irked by horribly inaccurate pronunciation of Japanese words (or worse, horribly inaccurate portrayals of traditional Japanese culture). “Ah so” has bugged me ever since I learned of “Ah so desu ka.” (Hope I got close phonetically!) As I understand it, the latter phrase means, loosely speaking, Oh, really, or DO tell–an expression of skepticism. Whereas we Westerners tend to think the foreshortened ah so = I see… Have I interpreted correctly? Haha great post. I went on the web after seeing a commercial proclaiming that the fish sandwich was back, complete with “pan-co” breading and realized that I had also heard more than one friend who went to culinary school pronounce it this way, wanted to see if there was anything addressing this (though I didn’t think I’d come across an exact reference for complaint). I work in family restaurant with my father who is from japan and native japanese speaker so whenever i hear that I think, “Huh?”. I understand and even play into Americanized words myself and find it more acceptable when the something being misspoken is fairly mainstream and well known like “karaoke”, “origami” or “futon” and further recognize it maybe hard for someone not familiar with japanese sound to say these words, however mispronouncing a more specialty item, like a specific type of bread crumb that can be easily pronounced correctly always irked me. Anyway, thank you, I enjoyed the post/rant. Hi. I did already say that, but my comments about “kimono” and “Ah so desu ka” seem to have disappeared. Also I wonder if you’ve ever read Sujata Massey’s Rei Shimura series, in which Rei, a Japanese American woman moves from California to Japan, gets a job teaching English to salarymen and falls into solving mysteries. Wonderfully entertaining and eye-opening. Thanks for your comment Linda — I agree that the pretty simple “ah so has been turned into a negative stereotype. The first time Americans saw and heard the phrase repeated to much it became common in their minds was after WWII, when Emperor Hirohito made an effort to get out and visit normal people in his devastated country. He had a nervous habit of nodding his head and saying “ah, so” or “ah, so desu ka” (“I see” is correct, or “is that so?”). It made sense to Japanese who were amazed that their Emperor, who was considered a god before the war, and someone you couldn’t even look at, would listen to their stories. True that about kimono being singular or plural, too! I haven’t, but I know of the series… Will have to track the books down. 🙂 No, you’re not crazy! Alas, for better or worse, when a word gets “adopted” into another language, it’s pronunciation (and spelling/transliteration) often gets morphed into something that is unintelligible to a native speaker of the language from which it came from. Just ask any Parisian what they think of the English pronunciation of “Paris”, for example. Most Americans (and Japanese) have no idea that “kudzu” (Actual: ? ; kuzu; “koo-zoo”) was actually a Japanese loanword. Or “rickshaw”. (??? ; jinrikisha; “jean-reek-sha). The tradition of morphing “imported” words to fit the natives tongue is by no means exclusive to English; the Japanese — as well as most any language of the word, is guilty of the same practice. Instead of fretting about people not pronouncing these words “properly”, Japanese-Americans should be proud that these words have been considered to be so innovative and expressive that they’ve been imported and morphed into English. Thanks for your comment! Good point — it’s true, all languages convert foreign words to suit their own tongue. I just hope people who do want to speak Japanese words correctly will make the effort. I see a lot of “aw” used here, where it’s definitely not correct in my American English. I think you’re using cot/caught-merged pronunciation, in which “Dawn” and “Don” sound like the same name. Another time I came across someone teaching Japanese pronunciation by analogy to English, I thought all but one of his examples were wrong. But then I realized that he was Australian, and his vowel sounds are mangled (to my ears) in English too. Yet another time, I came across a Brit wondering why Americans pronounced “pasta” as “parsta.” Nobody has ever said “parsta,” I thought, until I remembered that Brits don’t use the letter “R” correctly. I wish we had a real standard for English phonetic spelling and pronunciation. But instead we have many different and diverging accents. As long as that’s the case, it’s not possible to make all English speakers pronounce a loanword correctly by spelling it a certain way. This is an issue that I have ranted about to any of my Nikkei friends who will listen… specifically PANKO, which I point out is European based i.e. pain/panne, etc. as in French, Italian, etc. I believe originally from Portuguese via Kyushuu. More recently, I have ‘gently’ harassed Buddhist Temple members for MISpronouncing Japanese names (both SUR- and given names). 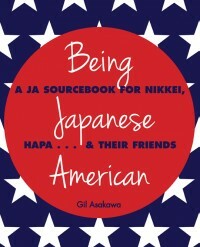 My son who is hapa-(US) American but Japanese Educated (HS graduate) says I am too harsh, as regards Nikkei AMERICANS. I even e-wrote, several years ago to my favorite chefs, including Alton Brown NO response … and obviously likewise for results. Thanks for your comment, and for going the extra step to (try to) correct people!